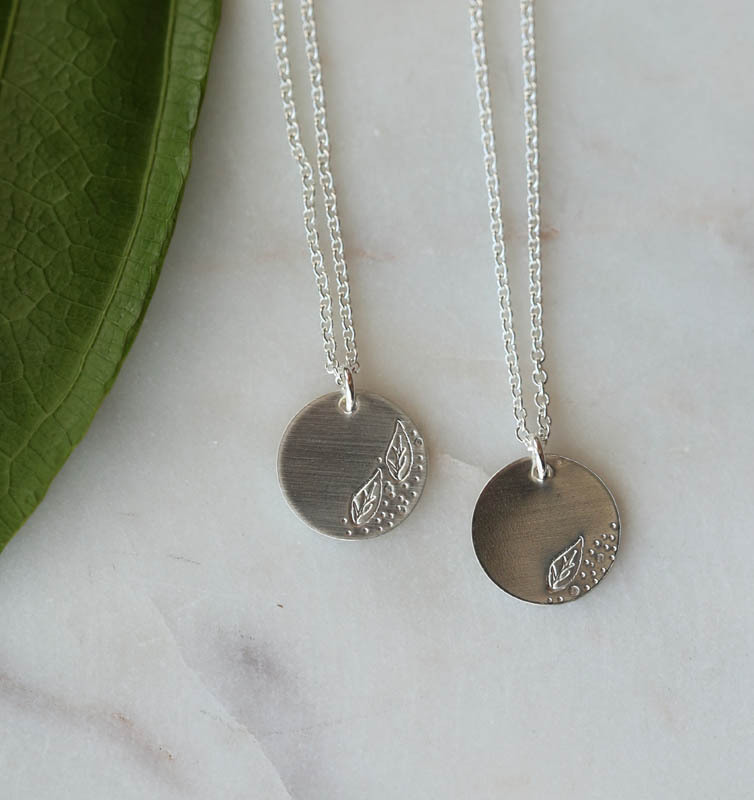 Dainty Leaves stamped in Sterling Silver, a subtle reminder of the roots that bind you together. 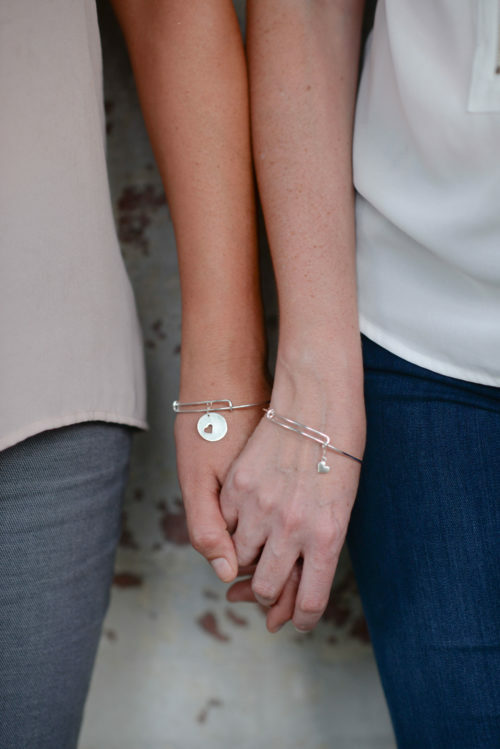 This set is for sharing. 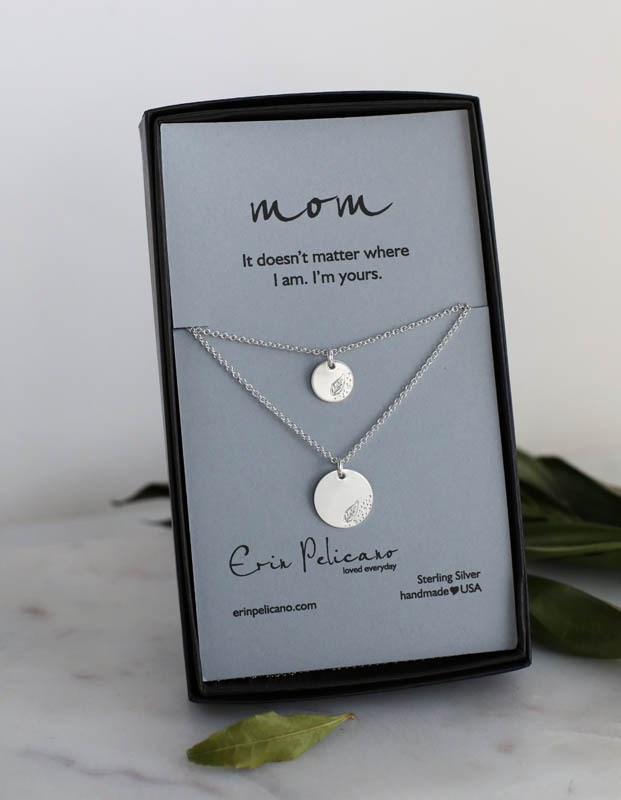 A Mom pendant is created with the matching number of daughters leaves and our love & light pattern, a 14mm disc on a sterling silver chain. 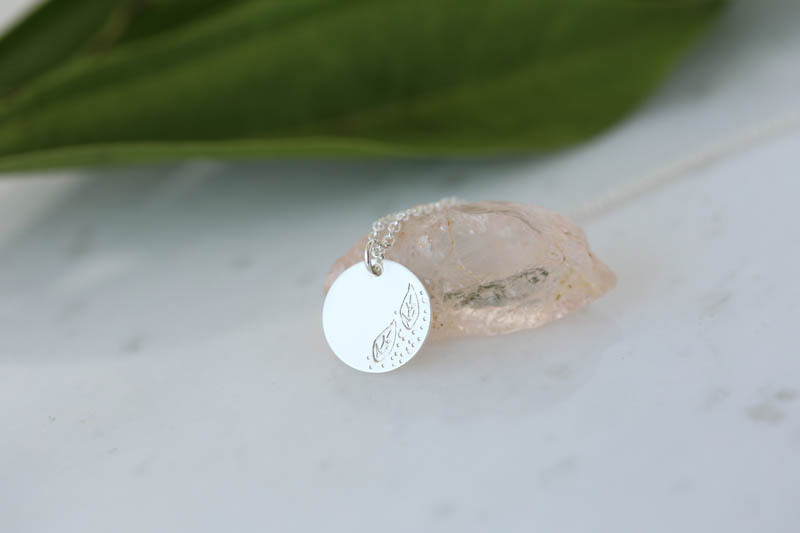 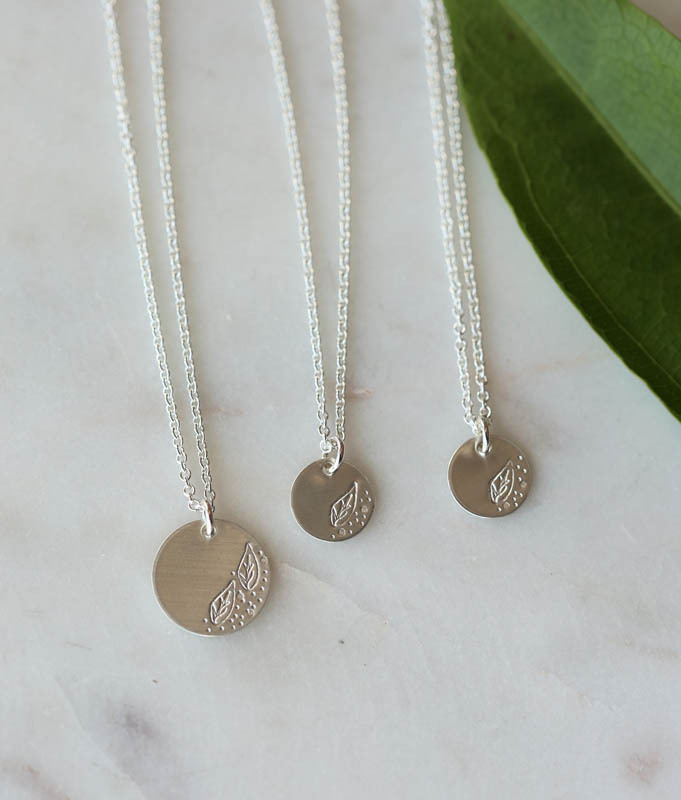 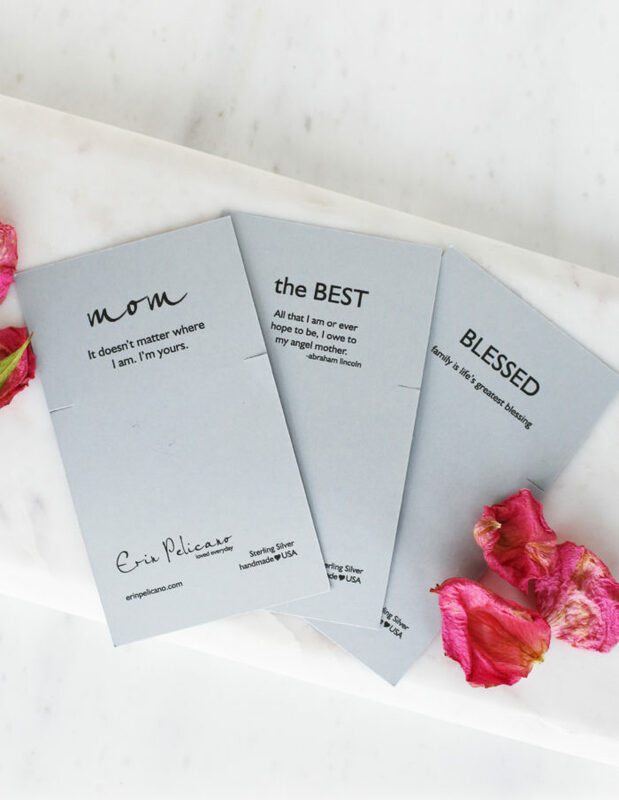 Each daughter necklace has a sterling silver leaf stamped with our signature love & light pattern, a 10mm disc. 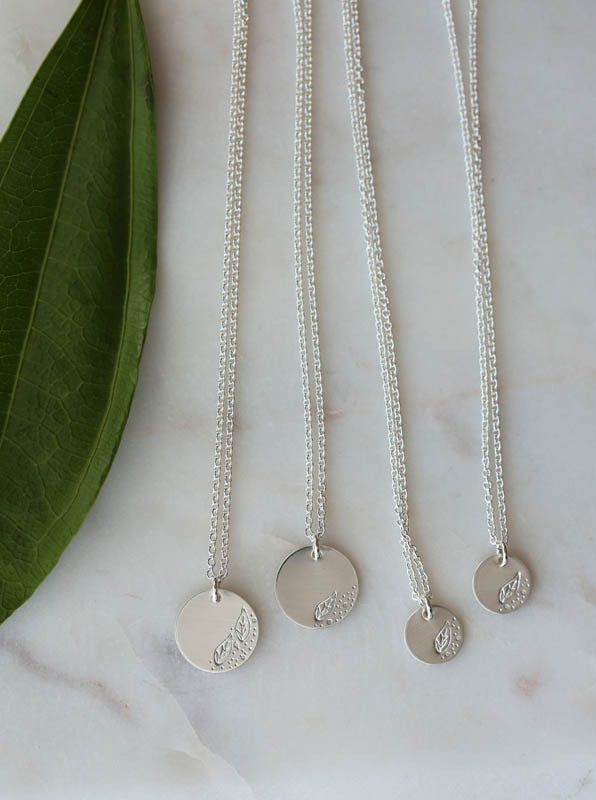 Both on 18″ chains, leave a note if you prefer 16″. 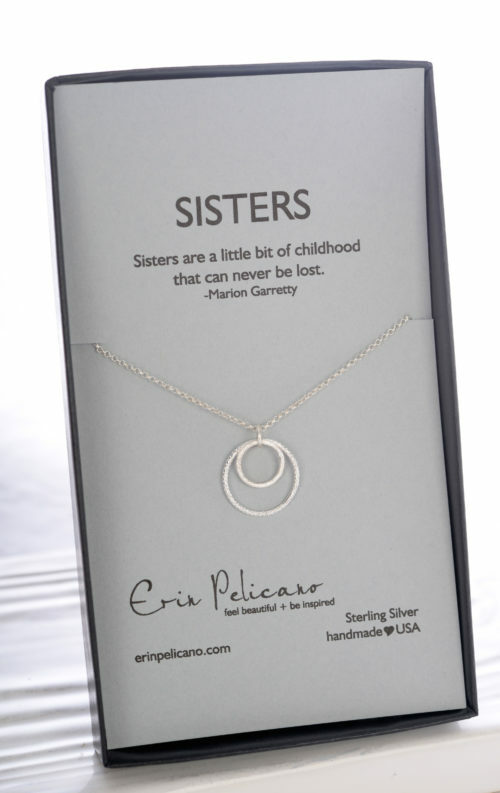 Created in sterling silver or fine 14k gold.